Tarvin admits here he personally prefers sole commissioner, then says he would have let the county vote IF we had all paid $20 to attend the Republican meeting in March and IF enough of us had shown up to that meeting to out-vote Bebe’s employees. And he says the sole commissioner vote petition is invalid because we didn’t sign it by precinct with a voter list. Is every person who signed the petition a voter? No. 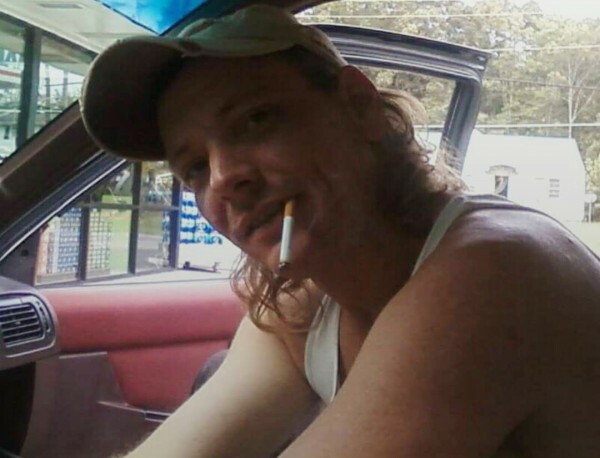 Is every person who signed a Walker County taxpayer? Almost certainly. Are more than 10 or 15 of the 2,045 people who signed it not voters? Probably not. It’s a good size percentage of Rep. Tarvin’s constituency who signed, and he’s saying they don’t count because a handful of the names on the list MIGHT not be voters. Tarvin is up for reelection in May. Call him [423 605 7328] and let him know, again, how you feel on this issue – and how you’ll vote if he can’t act. Maybe he’ll listen this time. 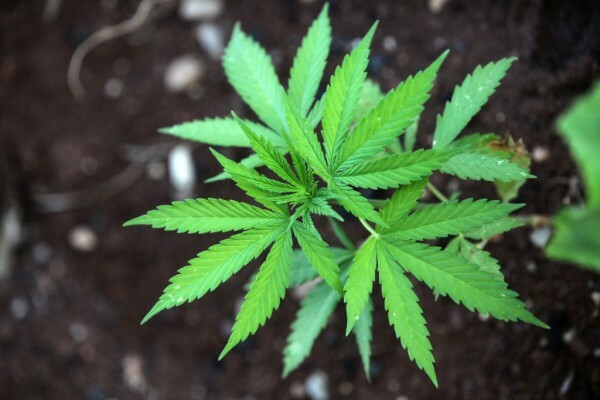 Drug task force finds 113 marijuana plants worth $135,000 growing on 11 sites in southwest Walker County. No arrests made, so far. WQCH Radio, 09/10/15: “LAFAYETTE’S DOWNTOWN DEVELOPMENT AUTHORITY DIRECTOR, MATTHEW WILLIAMS, WILL BE LEAVING THE JOB AT THE END OF THE MONTH. WILLIAMS HAS AN ILLNESS IN THE FAMILY – AND WILL BE MOVING TO THE PHOENIX AREA NEAR THE MAYO CLINIC, ARIZONA CAMPUS. 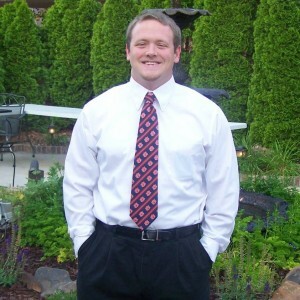 Williams has been in charge of the DDA since November 2012 and has often been described to LU as the nicest guy around. His job duties include community events like Movies in the Park, city social media accounts, historical research/preservation, business recruitment, and grant writing. Good luck to him and his family in Arizona. His sworn testimony led to the hospital’s bankruptcy protection being extended, and his well-paying job being preserved, again. Times Free Press, 09/04/15: “A U.S. Trustee dropped his motion to dismiss Hutcheson’s bankruptcy case this afternoon. LaFayette’s new Bojangles is now hiring for all positions. Use this site to apply for the store here opening in November or the existing stores in Summerville, Fort O, etc. 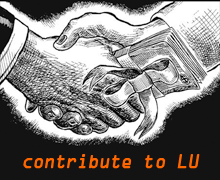 LU is told they want to hire about 100 people part-time to start and train, and then whittle that down to a core of 30-40 good people. 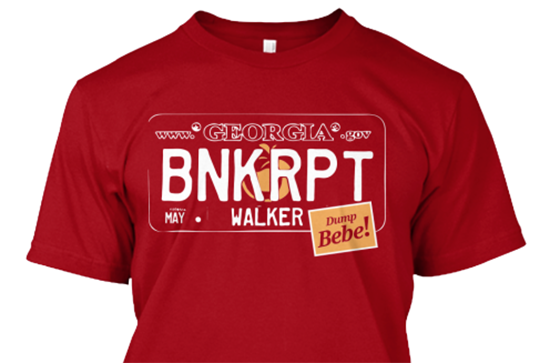 Walker County BNKRPT t-shirts now available from TeeSpring. Show your UNsupport for Bebe’s 2016 reelection campaign with one of these stylish high-quality shirts in a variety of styles, sizes, and colors – even pink. 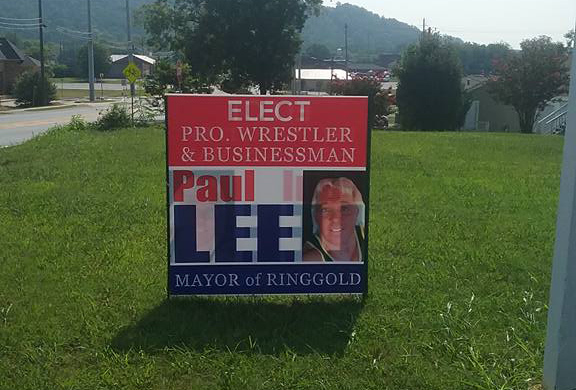 Ringgold leaders have ruled that ‘rassler Paul “Nature Boy” Lee is not eligible to run for mayor there, as he lived outside city limits until August. Ringgold, like most places, requires candidates to have lived inside their jurisdiction for at least a year before the election. Lee says he’s done that, but the house he claims as home wasn’t in his name until six weeks ago and he was registered to vote at a different address until the middle of August. 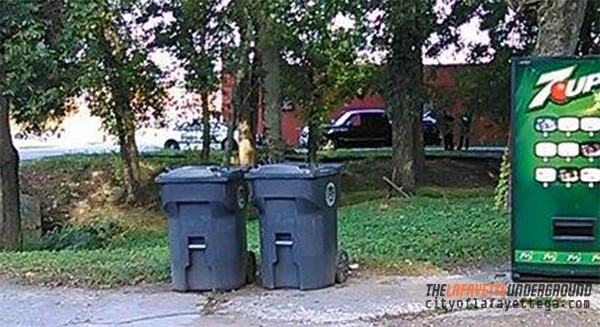 We have been unable to confirm if he hit the Vice Mayor over the head with a folding chair after the ruling was issued. LPD apparently made another arrest Tuesday of someone swiping donations from Goodwill. Northwest Whitfield HS football player arrested, suspended after a video of he and two friends torturing chickens was discovered on YouTube. He faces charges of aggravated animal cruelty and is no longer part of the football team. Can I please have my fake money back so I can try to pass it somewhere else? WQCH Radio, 09/18/15: “A 42 YEAR OLD LAFAYETTE MAN HAS BEEN CHARGED WITH FIRST AND SECOND DEGREE FORGERY, FOR TRYING TO PASS COUNTERFEIT MONEY. “POLICE ARRESTED VINCENT LAMAR SAINE SUNDAY MORNING AT THE KANGAROO STORE ON WEST MAIN. THE CLERK SAID SAINE HAD ATTEMPTED TO BUY A PACK OF CIGARETTES WITH A FAKE 20-DOLLAR BILL. WHEN SHE TOLD HIM THE MONEY WAS COUNTERFEIT, HE SAID ‘HE KNEW THAT – BECAUSE THE WOMAN AT THE OTHER STORE TOLD HIM’. WHEN HE ASKED TO GET THE MONEY BACK, THE CLERK REFUSED AND SAINE BECOME UPSET, ACCORDING TO THE POLICE ACCOUNT. “THEY CONFIRMED THAT HE HAD ALSO TRIED TO PASS THE FAKE MONEY AT THE PIT STOP ACROSS THE INTERSECTION ON CHATTANOOGA STREET – AND IT WAS REFUSED THERE AS WELL. Plus: Latest Walker arrests, September 10-16. And a LaFayette native picked up in Chattooga on 9/14. Georgia has cut back on the money it gives counties and cities to pave roads, but recently spent $92,000 paving a gravel drive that leads to Governor Deal’s house. Col. Mark McDonough of GSP says he ordered it done to assist with emergencies at the home, and wasn’t pushed to do so by Deal, but admits he’s never made a similar request before for any other politicians or VIP’s. Neighbors say the road was fine with them the way it was. 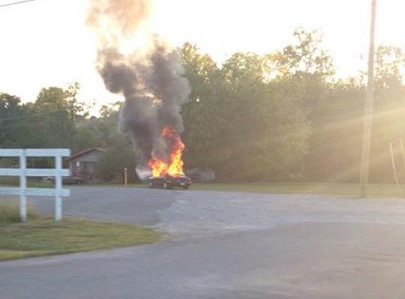 Car fire on Stoleman Rd. off 27 between LaFayette and Trion Thursday evening. Stoleman is a little south of the 27/151 intersection in Chattooga County. Insurance customers who are loyal to one company and less likely to switch to another insurer if their rates go up are rewarded for their loyalty, at least in Georgia, with higher insurance rates. 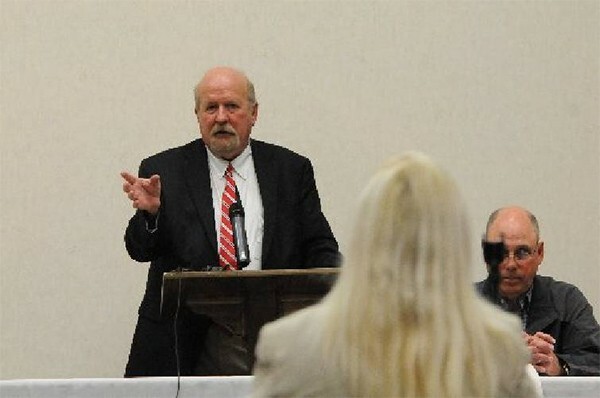 A consumer group has asked Insurance Commissioner Ralph Hudgens to ban the practice, but so far he’s not responded. Hudgens is probably on another insurance lobbyist funded vacation.